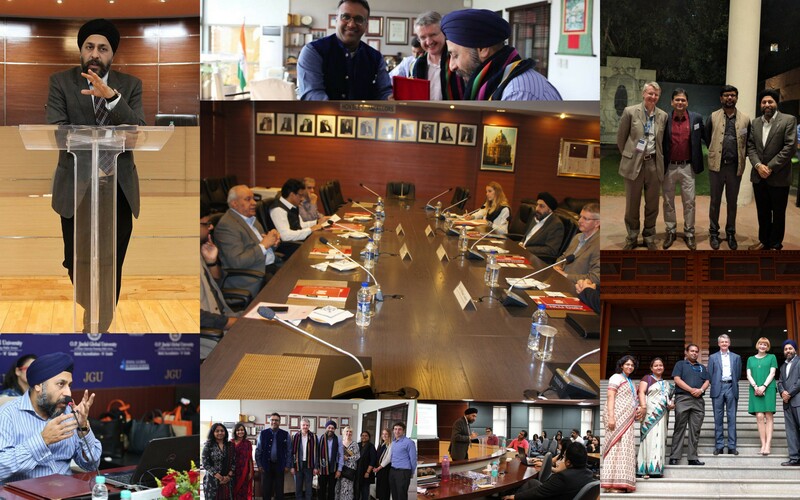 CREATe Programme Leader, Dr Sukhpreet Singh, and, Head of School of Law, Prof. Iain Macneil, were invited to be a part of a University of Glasgow delegation that visited more than 25 potential partner institutions (including leading law universities, law firms, industry associations, and, study abroad facilitators) across 5 State capital cities of India between 1 and 11 Nov 2016. An immediate outcome of the visit includes the signing of a Memorandum of Understanding, to take place on 2 December 2016 in Glasgow, between the University of Glasgow, and, the National Law University (NLU) Delhi, one of the premier law education and research institutions of India. This builds on previous CREATe connections with India such as the research panel discussion at the Global IP Congress organised at NLU Delhi. See here and here. The School of Law, which hosts CREATe, is scheduled to organise an executive training programme in corporate governance for a high level delegation of Indian public sector organisations in Spring 2017. Expertise was also sought by several potential partners in India to conduct short online courses as well as in country programmes in intellectual property rights and digital copyright, in which CREATe has global recognition. One such programme, the CREATe Summer School in IP, will be organised from 29 June to 1 July 2017. More details will be announced soon.